Kachemak Bay Flying Service (KBFS) is certified by the Federal Aviation Administration for delivering CFR 14 Part 135 scheduled passenger transport services. Currently, KBFS is available for rotary wing Part 135 flights and can add fixed wing authorization if justified by customer demand. The KBFS Part 135 certificate, under the oversight of the FAA San Antonio Flight Standards District Office (FSDO), is headquartered in Temple, TX but authorized to conduct scheduled charter operations any place within the continental United States. 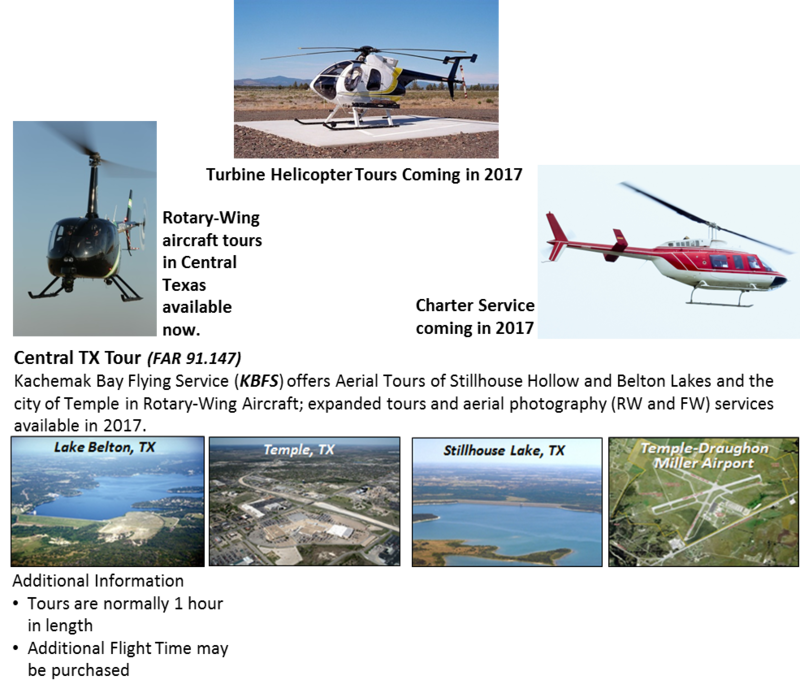 KBFS currently works with Night Flight Concepts in Waco, TX to make available very capable and highly maintained Robinson Helicopters for these operations.